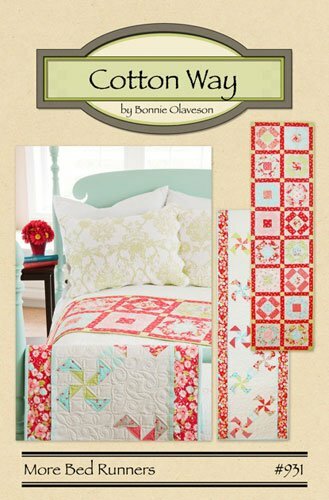 More Bed Runners by Bonnie Olaveson for Cotton Way. Layer Cake Friendly. Includes 2 beautiful pattern options for bed runners. Pattern #931 Pinwheel Runner 24in x 80in, Side-Bar Runner 22in x 86in Nice for foot warmers as well.